At the center of advanced connectivity in new Chrysler, Dodge, Jeep, and RAM vehicle is the Uconnect® infotainment system, which gives you access to a wide array of entertainment, navigation, and communication technologies. The Uconnect® App takes your experience to the next level by giving you mobile communication with your vehicle. Find out more about the Uconnect® application here with Dakota Chrysler Center, your Breckenridge area CDJR dealership in Wahpeton where you’ll find plenty of offers and incentives available. Portable Wi-Fi Hotspot so your passengers can stream videos on the go. Vehicle Health Report with updates on your vehicle’s maintenance schedule and other service needs. Performance Pages to help you gauge that way your vehicle is performing and handling on the road. Send ‘N Go™ – This feature allows you to send navigation directions to your vehicle directly from you phone, no matter where you are. Remote Vehicle Start – Get your vehicle heated up before you get inside, and step into the vehicle without ever taking your keys out. Remote Vehicle Lock/Unlock – Unlock your vehicle from your phone, or lock it from anywhere in case you forgot to when you were getting out. Vehicle Finder – Forgot where you parked your car? Use the vehicle finder app to easily locate it. SOS Call – If you were in a collision, SOS Call allows you to alert the proper authorities with the push of a button. Roadside Assistance Call – Stranded on the side of the road with a flat or no gas? Roadside Assistance Call is there for you. Stolen Vehicle Assistance – In the unfortunate event that your vehicle has been stolen, this feature lets you quickly and easily alert the authorities. Get a Vehicle with the Uconnect® App at Dakota Chrysler Center! 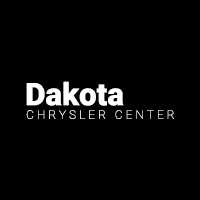 Get the latest in Uconnect® infotainment near West Fargo with a new Chrysler, Dodge, Jeep, or RAM vehicle from Dakota Chrysler Center. Work with our professional finance center to find a payment plan that works for you, and don’t forget to check out our new vehicle specials. Contact us at (701) 403-8016 to set up a test drive, and then come see us at 7950 179th Avenue in Wahpeton, ND. While you’re here, find out about how the Jeep Wave program can benefit you!